It's Christmas shopping time! I love that I pretty much can do all of my shopping online while I nurse the baby. Makes my life pretty easy. I thought it'd be fun to share some of my favorite Christmas gifts this year. Starting with the cutest ones - gifts for baby! Elise's "Big" gift is a Boa Stacking Rings with Sounds. It's from the Kushies Zolo toys line. I love that the rings each make a different animal noise. And it's adorable in the nursery. I figure if you're going to buy a toy, it should look cute on the shelf. I shop at Kushies a lot for baby gifts. They offer everything for baby/toddler from washable diapers, baby essentials, apparel, award-winning toys, bibs, bedding and more. 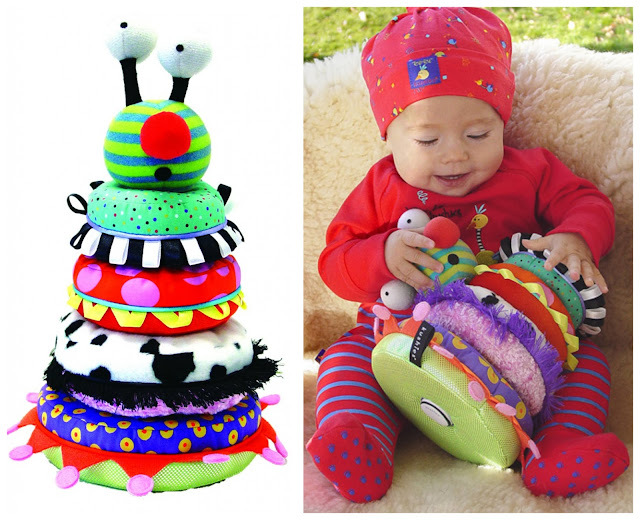 And, their gift sets make great baby shower or new mother gifts. Elise is probably going to be getting a Blue Banana Carbag under the tree too. Something to keep her nice and toasty on our winter adventures. Look Look! 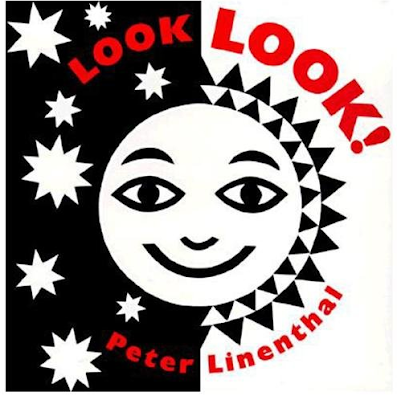 By Peter Linenthal is the best book for babies, even newborns. The high contrast black and white pages are captivating to babies. I've read it to each of my babies, and even at 2 months old, Elise loves it. Everyone loves Sophie the Giraffe (my babies included) but Chan Pie Gnon is one of Sophie's more hipper friends. Just as chewy and squeaky, it's the perfect first stocking gift from Santa. 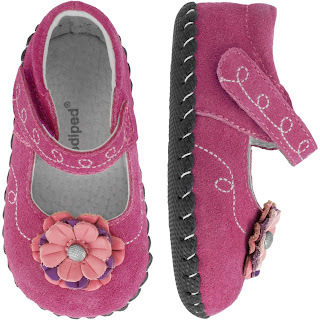 My kids all wear Pediped. 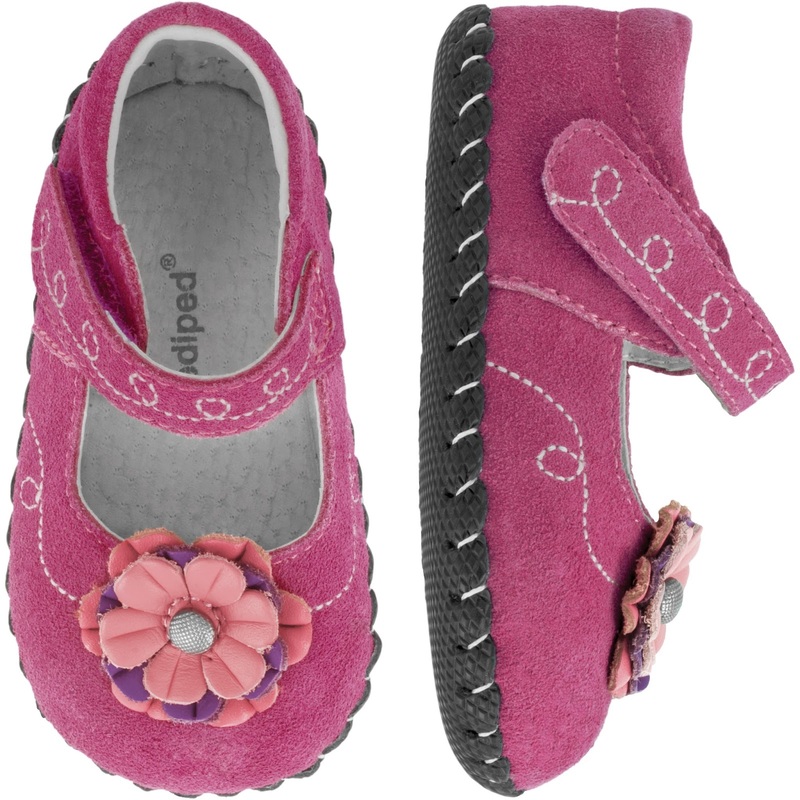 Elise is getting the shoes shown above in purple. Her feet aren't big enough for them yet, but you'll probably see then in lots of photos soon. They are just so comfortable, even my "I hate wearing shoes!" son likes them. Well, not these purple ones, but nice boy ones. Pediped now has a ladies line, Brian James! I know I would love a pair of insanely comfortable and stylish shoes for Christmas (Hint Hint). (And as a company they do some great community work. Check out their newest way to give back to schools.) They post good deals on the Pediped facebook page. I asked the kids what we should get the baby for Christmas and Collin yelled "A binky!". Elise does love her binkies. Well, at first she didn't want anything to do with them, but then I got a recommendation to try MAM pacifiers. They are designed and developed by pediatric dentists and orthodontists. 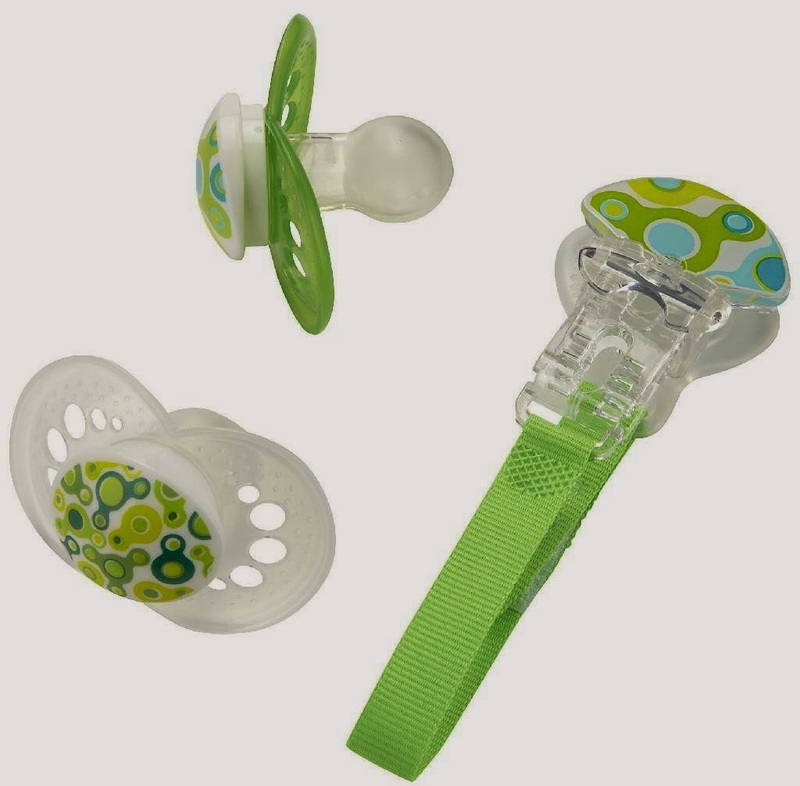 They offer a wide variety of pacifier sizes that suits baby's various developmental stages. The anatomically correct pacifiers allows for healthy jaw and teeth development and ensure a maximum level of comfort for babies of all ages. Elise loves them and they calm her so quickly. This year she's getting a few more in her stocking. Along with a MAM mini teether to help her the moment her little teeth start coming in. 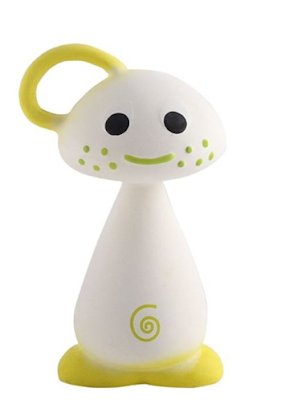 Sign up for the “MAM Club” at mambaby.com to be the first to know on special promotions and new product introductions. 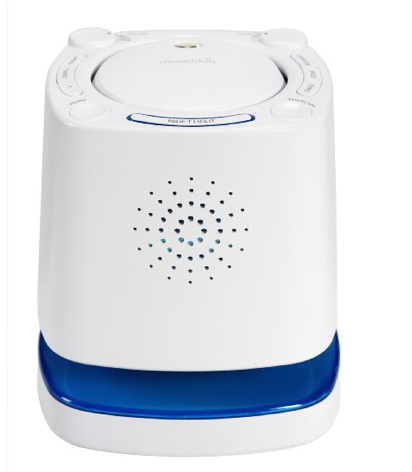 The Munchkin Nursery Projector and Sound System is a great baby room machine with all the frills. Sweet lullabies, pleasant white noise, a nightlight and a projector with three different different themes that can be projected anywhere in the room. Baby will love falling asleep to it's gentle glow and sounds. Great price at just over $20. 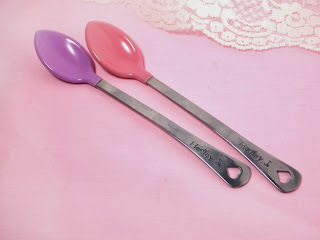 Lastly, I love the hand-stamped baby spoons I've been seeing on Etsy. And usually they run less than $10 a spoon. I think I may get one from Block and Hammer for my little sweetie. So cute, she'll actually use it and it becomes an heirloom. You are a great gift-picker and gift-giver. I don't have a baby, but I think these are perfect gifts! Those shoes are my favorite!